Efficiently selecting employees. The persolog Employee Integrative System enables you to make an objective, transparent and target-oriented choice of personnel. › Integrate. Match candidates and supervisors. › Matching. Keep the requirements of the job in mind. › Employees. Include the company culture in the process. Develop sustainable relations by recruiting candidates that fit to you. This saves you costs caused by wrong choices and fluctuations. Recognize the matching candidate in three steps. Create a benchmark of your expectations of the candidate. Then your candidates fill out a questionnaire. Results will be compared in a report which indicates the suitability of the candidates. Apply a reliable modern tool. The persolog Employee Integrative System enables you to choose personnel online. You will soon find the candidate who can be integrated quickly and effectively. 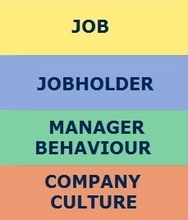 The persolog Employee Integrative System is based on behavioral research by Prof. John G. Geier. The research team of Dr. phil. Lana Ott developed the respective tool on the basis of organizational and work psychology. +49 (0) 7232 3699-80 or sales@persolog.com.